I will never forget that moment when I sat—surrounded by my colleagues, all of us exhausted after weeks of 13-hour days closely analyzing tiny segments of text—and watched the gavel fall to finalize the Paris Agreement at COP21. We cheered; most of us cried. The image on the screens surrounding us panned across thousands of elated faces: global leaders, hardened negotiators, countless representatives from the world’s youth, religious, Indigenous, business, development, frontline, social justice and environmental communities. Thinking about it even today brings tears to my eyes. The achievement of the Paris Agreement is made no less incredible by its insufficiency. 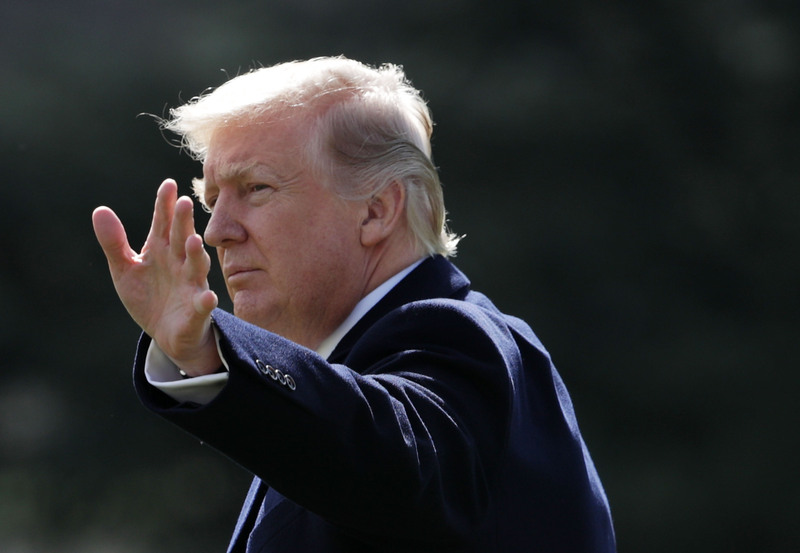 As even Donald Trump understands, the collective commitments made by signatories to the accord do not add up to the effort required to cap average global warming at the 1.5 degrees Celsius limit that parties agreed to strive for. Yet never before has almost every country in the world negotiated a common path forward on climate action. And never before has an international treaty entered into force so rapidly—the agreement took effect Nov. 4, 2016, barely a year after the gavel strike rang out across that plenary hall in Paris. No other moment in recent history has matched the signing of the Paris Agreement as an articulation of unprecedented global consensus on an issue of unprecedented urgency—until Thursday. In an unexpected twist, Trump’s move to withdraw the U.S. from the accord has resulted in the clearest and most coherent call for climate action from every corner of human civilization yet. The Vatican called yesterday’s decision a “disaster” as dozens of other religious organizations voiced their dismay. The largest conglomerate of US unions—representing 12.5 million workers—condemned the withdrawal. Superfunds and corporate bigwigs worldwide singled out Trump as dangerously out of step with global investment and business trends. Iconic American brands like Disney, Google, Facebook and Amazon balked at the move. Goldman Sachs’s chief executive used his first-ever tweet to call the President’s decision “a setback for the U.S.’s leadership position in the world.” Leaders of the Marshall Islands and Fiji, including the president of COP23, reminded the world that following through with the Paris Agreement is a matter of survival for those communities most vulnerable to climate change. Russia said it “attaches great importance” to the accord. Celebrities from Cher to Katy Perry piled on with criticism. Environmentalists made poignant promises to fight on. Sixty two per cent of ExxonMobil shareholders demanded the company engage in climate-risk disclosure. And the 21 young people suing the Trump administration over inaction on climate change stiffened their resolve. All this adds momentum to the new leadership coalitions emerging seemingly every week. The EU and China will conclude their climate action and clean energy summit today. Canada will join them to host a ministerial on Paris Agreement implementation in September. France, Germany and Italy have made it clear there is no room for renegotiating the accord. Mayors of some of the world’s largest cities reaffirmed their commitment to climate action. And states and provinces have vowed to continue working together to address the climate crisis. In the face of all this fierce determination, what impact does the U.S. withdrawal from the Paris Agreement actually have? There are implications for the structure of the agreement itself: Given its terms, the earliest the U.S. will actually be able to exit the treaty is Nov. 4, 2020—the day after the next U.S. election. This means the U.S. will continue to have access to conversations about the Paris Agreement at the United Nations for the next three years, and could play a disruptive role. However, the consensus-based nature of the UN process and loss of credibility the U.S. will experience thanks to this move will limit the impact of any bad behaviour. Trump made vague references to wanting to “renegotiate” the terms of the agreement during his speech. While the UN has said it’s open to dialogue with the US, government insiders speculate Trump’s references were probably just a cover and Parties have made it clear renegotiation is not an option. The silver lining of Trump’s decision is that it leaves the ambition raising mechanisms of the Paris Agreement intact. Rather than allowing the United States to lower its climate ambitions, it remains clear that the Paris Agreement sets a clear direction of travel: as climate pledges get more and more ambitious over time, we must eventually meet the scale of the challenge, without any backtracking by anybody. There are implications for greenhouse gas emissions. the U.S. states that remain committed to the Paris agreement were a nation unto themselves, they would be the world’s fifth-largest economy, the sixth-largest emitter, and twelfth-most populous country. There is no doubt that a complete retreat from federal-level action on climate change will slow emissions reductions in the U.S.—something the world really can’t afford and other countries will have to work to compensate for. However, continued action from states, cities, and businesses will keep emissions in the country on a downward trend. And we Canadians understand better than most the power of subnational actors that will rise up in the absence of federal-level action on climate change. There will be implications for international climate finance. Many countries depend on U.S. funds to help them finance climate action and adapt to the impacts they are already experiencing from climate change. Many of these countries, and the global institutions built to direct funds to them, will feel the pain of Trump’s promises to slash climate funding. This is another area where other countries will have to move in to fill the gap. There is some hope that U.S. entities will stem the complete pullout of American financing, however; according to the Treasury Board, U.S. companies benefit from their country investing in climate finance and the boost it gives to global security and demand for U.S. products. And there will be implications for American jobs. In response to Trump’s assertion that he was withdrawing from the climate accord because he was elected to “represent Pittsburgh, not Paris,” Pittsburgh Mayor Bill Peduto shot back on Twitter that his city would continue to lead on climate because it is good for the economy. More than a million Americans are employed in clean energy jobs; 2.2 million are employed in the energy efficiency industry. Much of Trump’s anti-climate rhetoric revolves around protecting coal jobs, yet as of 2015 the solar industry employed more than three times as many Americans as coal. While the fossil-fuel industry continues to employ people in the U.S. and around the world, with solar and wind industries creating jobs 12 times faster than the rest of the U.S. economy, the writing is on the wall: the President’s decision will hurt American workers, not help them. While Trump’s grand display of doublespeak yesterday injured morale and drove home the fact that climate activists’ work is not yet done, the actual implications of his withdrawal from the Paris Agreement are unfortunate but surmountable. The biggest impact of his speech yesterday is this: it made it crystal-clear that climate leadership has become a lynchpin for international influence. If you want to have leverage on the international stage, you can’t be a climate laggard. Catherine Abreu is the executive director of Climate Action Network Canada.